Now that you’ve learned how to make wine with your Instant Pot, you need extra-special glasses to sip and savor your success. Standard stemware just won’t do. What is magical enough to hold your homemade merlot or precious pinot? Disney princess wine glasses, of course. Thanks to some brilliant artisans, you can now sip your favorite “magic potion” with two of the most beloved Disney characters! 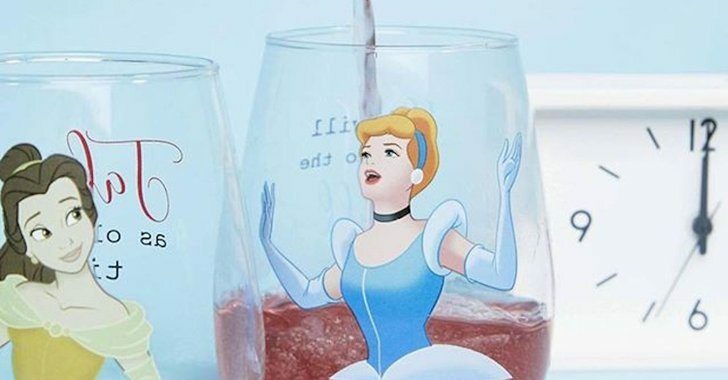 Asos is now selling a two-pack of stemless glasses, which feature Belle and Cinderella on them. These “tumbler glasses” (we know what that really means) are perfect for a royal wedding watch-party or a Disney marathon. Unfortunately, when we checked Asos, they were sold out of these glasses—but that doesn’t mean you’re out of luck. There are a treasure trove of Disney wine glasses available online. Etsy has lovingly made Disney wine glasses fit for a fairytale, or getting bippity-boppity buzzed on a Friday night. 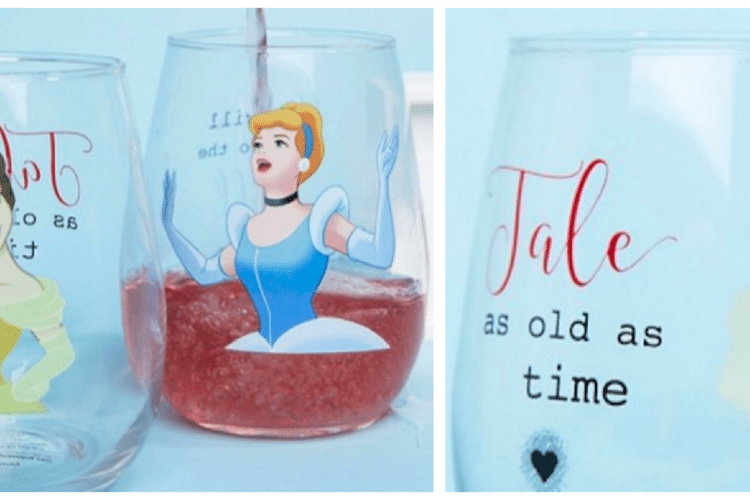 For example, these glitter-adorned goblets from xTheGlitterBoutiquex feature the friendly faces of one of 12 iconic princesses, ranging from vintage (Snow White) to contemporary (Elsa). Each extra-sparkly glass is made to order and decorated with acrylic paint and glitter. 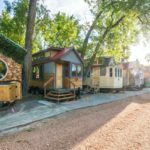 They are apparently a labor of love, as the seller says each one takes more than an hour to create. But if evil is more your thing, Etsy seller ThatsNance offers a hand-etched wine glass featuring Ursula from “The Little Mermaid.” Of course, if you want to keep it light, you can try the Olaf glass. If you already have a full set of stemware you love, you can still add a bit of Disney magic to each one, even without a wand. Simply grab a set of themed charms for a quick way to make your standard glasses magical. 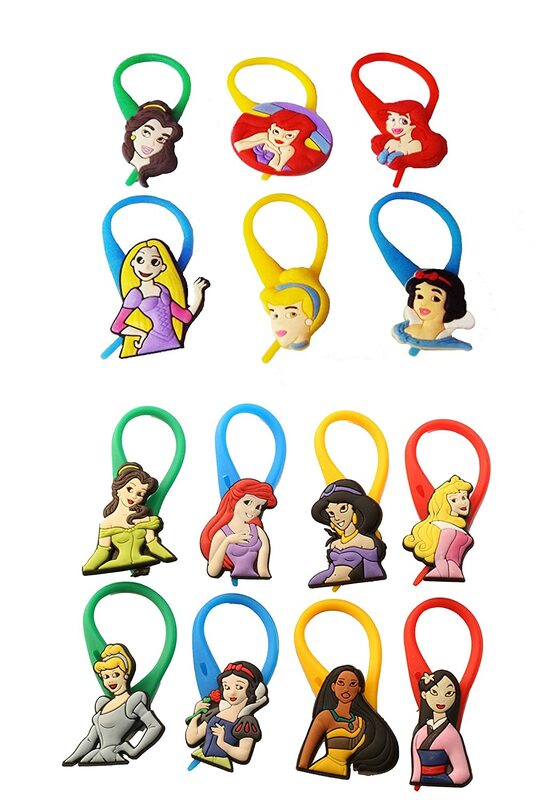 Amazon has a cute set of 14 charms that identifies each person’s glass with a different Disney princess. 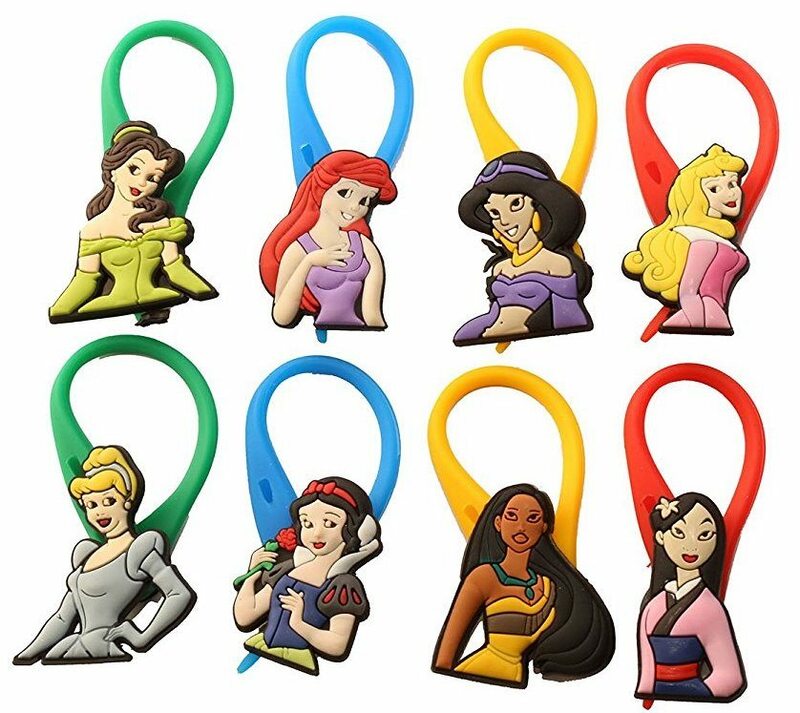 As a bonus, having everyone pick the princess they identify with can be a conversation starter! Wine glasses and charms aren’t the only way to deck your kitchen out in Disney, either. In January, Le Creuset introduced an awesome Disney-inspired cookware line. And if you want to make your KitchenAid mixer a little more magical, check out this adorable Mickey Mouse decal. Want more? The Disney Home store recently opened at Disneyland’s Downtown Disney district. It’s a one-stop shop for the most popular home items from Disney. 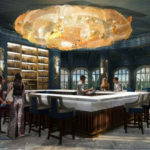 In fact, you’ll find things like dishes inspired by “Beauty and the Beast” and wall-to-wall Mickey Mouse decor!